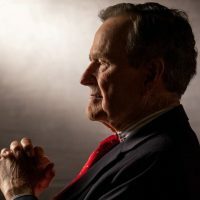 A Monmouth College professor relied pretty heavily on late former President George H. W. Bush. Both times McMillan ran for Congress, he was up against popular 17th District incumbent, the late Lane Evans. He says that was the authentic George H.W. Bush — same as the rest of the public saw.